Truth be told, the demand for learning Japanese is pretty anemic in the West. I had hoped for more, but more has simply not materialized. What I will do is use language as a tool, prop, sock puppet, what have you, to show things about Japan, hopefully in an eye-catching way. 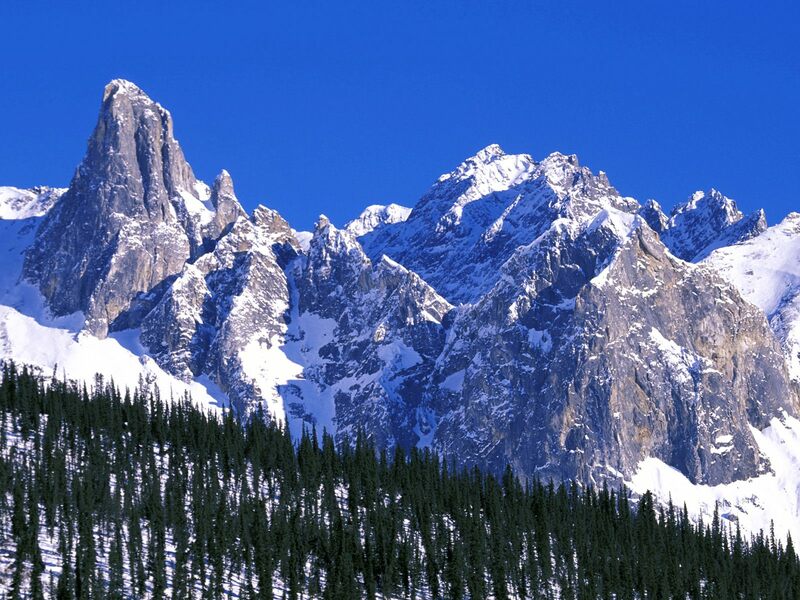 The above portrait is the Brooks Mountain Range, in Alaska. In Japanese, a mountain range is called sanmyaku (山脈、さんみゃく), a combination of the kanji for “mountain” and “vein.” In this sense, the mountains course across the earth, running across its surface like a pathway of stone. There is a forest, or mori (森、もり) shown at the base of the mountains. The kanji is three instances of the word for tree, which as a stand-alone word is pronounced ki (木, き). Three of anything represents a large number. A grove or small forest would be a hayashi (林、はやし) showing only two instances of ki (木), indicating a decent but not overwhelming number. The snow on the surface of the mountains is yuki (雪、ゆき). Long-time readers may recall my post on Yuki Onna, a supernatural being from Japanese myth and legend. This entry was posted in Culture, Japan, Japanese, Languages and tagged forest, Japan, Japanese, mountain, nature, range, snow. Bookmark the permalink.